Hill dwarves have deep tan to light brown skin and ruddy cheeks and bright eyes. They have deep voices and actually sing quite well. 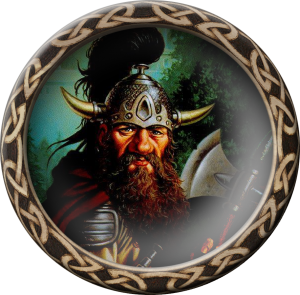 Hill dwarves are looked down upon by the Mountain dwarves, who consider them exiles from the Mountains. Hill dwarves have small communities that live in above-ground villages. Unmarried hill dwarves often set out on their own, only occasionally returning to their original clan. This makes the Neidar society more warrior based, with some clerics and a few thieves mixed in. But almost all dwarves look scornfully on the practice of wizardly magic.